Each week at Denalect we answer dozens of customer questions about the latest innovation in home security system technology – mobile apps. With a home security app on your device, you can arm and disarm your system with just the swipe (or tap) of a finger and keying in of your PIN. But how do these apps work and how they can enhance your system? First, it’s important to note that most of these apps are proprietary to the alarm system’s manufacturer. For example, an app for Honeywell app won’t work a Bosch alarm panel. A good app will require that you to enter a PIN, have an expiration date and be able to be disabled by your alarm company if your mobile device is lost or stolen. Most apps are compatible with iPhone, iPad, Android tablets and other web-enabled devices. While mobile security apps have many features in common, customer satisfaction with an app can vary from company to company. In addition to turning your alarm on and off, some systems allow you to: switch lights and appliances on and off; watch live video of what is happening around the house; control the thermostat; and a few other handy functions. Knowing what home automation options you are looking for can help you choose the right system and app for you. 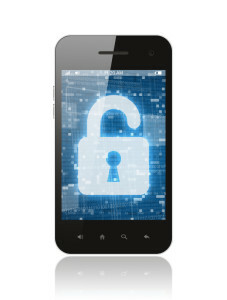 Always keep in mind that a mobile security app is a nice tool but they aren’t infallible. Nor can they take the place of a good-quality monitored alarm system with a solid communication system that will continue work even if your wifi signal goes down or a power outage occurs. For more information on mobile apps for your home security system, contact our business office at (925) 932-2211. Business hours are 9am to 5pm, Monday through Friday. Denalect Alarm is proud to serve home and business security and alarm systems in Northern California: Antioch, Blackhawk, Brentwood, Concord, Danville, Dublin, El Cerrito, Hercules, Lafayette, Livermore, Martinez, Moraga, Oakley, Orinda, Pittsburg, Pleasant Hill, Pleasanton, San Ramon and Walnut Creek.